In January 2017, more than 3 million women marched in DC and all over the world for human rights. A century earlier, in 1917, throngs of women marched in New York City carrying placards with over a million signatures for votes for women. These suffragettes marched to the tune of “The March of the Women”, their national anthem written in 1910 by Ethel Smythe with words by Cicely Hamilton. The last lines are, "March, march, many as one. 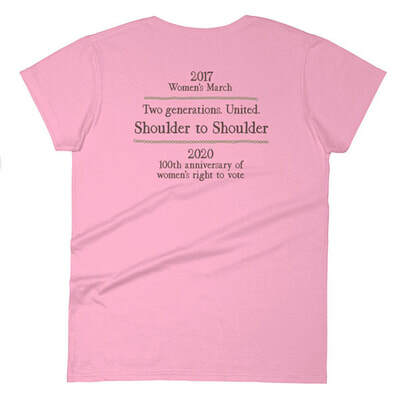 Shoulder to shoulder and friend to friend.” It was fun to imagine two such committed women, generations apart yet linking arms, each looking forward to a new world. 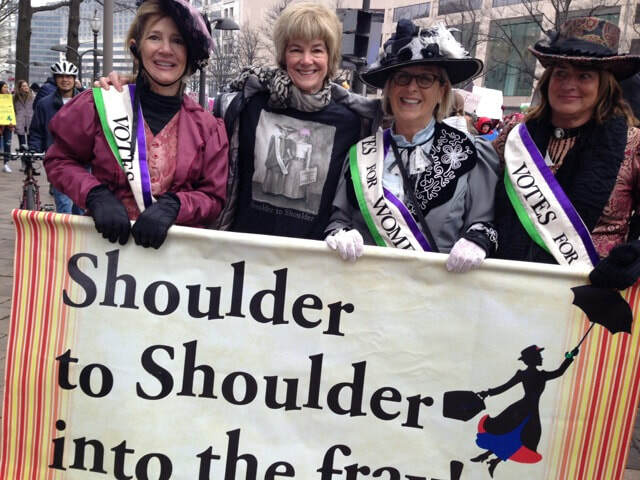 During the 2109 Women’s March in DC, my friend Marcie ran into some like minded suffragettes! Celebrate the power of women! Enter into the vision, shoulder to shoulder. Click on the images below to order prints, notecards, totes, tee shirts, tank tops, sweatshirts, and mugs. 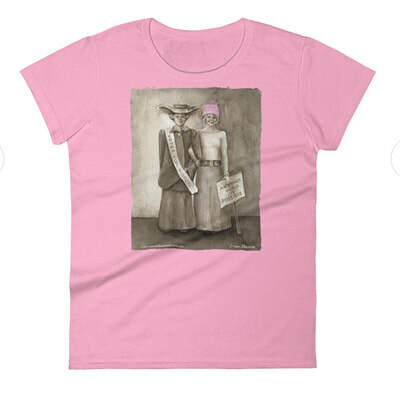 Tee shirts, tank tops, and sweatshirts are also available in a special 2-sided print version.